An Ethiopian court has handed down a nine-year jail sentence to a leading dissident from the restive region where the government has leased vast tracts of land to foreign investors. Okello Akway Ochalla had been in exile for a decade when he was seized by South Sudanese security agents in a hotel in that country’s capital two years ago during a trip to organise opposition to the Ethiopian government. He was passed to Ethiopian agents and flown to Addis Ababa. There he was charged with plotting against the state. He was convicted this month and sentenced on Wednesday, his supporters told the Financial Times. The government calls Mr Okello a terrorist, claiming that he conspired with armed groups plotting attacks. His supporters maintain that he is the latest victim of the authoritarian regime’s determination to crush its opponents. “This does not stop dissent, it creates it,” said Anuradha Mittal, a land rights activist at the US-based Oakland Institute, who has taken up Mr Okello’s cause. 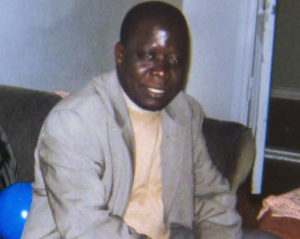 Mr Okello was serving as governor of the marginalised Gambella region in 2003 when tensions between locals, including his fellow Anuak, and more pro-government migrants from the highlands boiled over. Some 400 Anuak people and other locals were massacred; many more fled. According to human rights groups, the armed forces joined in the slaughter. Mr Okello escaped and reached Norway, where he was granted asylum. Over the years since, his homeland has become a frontier in a global rush to invest in land. A food price shock in 2007 spurred interest in leasing land as a means to secure supplies of food. Then the financial crisis drew attention to land as an asset immune to the vagaries of stocks and bonds. Last year, 17 agriculture or farmland funds raised $3.9bn, up from the $500m raised by five funds in 2009, according to Preqin, a data provider. Gambella has a blighted history but its soils are rich. The lowland region is the focus of the Ethiopian government’s drive to boost exports through land investment. Progress has been faltering. An attempt by Karuturi Global of Bangalore to cultivate 100,000 hectares descended into acrimony over unmet promises. The government sent notice to the company in December that its lease had been terminated. The one large project to have made headway is a 14,000 hectare Saudi Star rice farm, owned by the Saudi-Ethiopian billionaire Mohammed al-Amoudi. That venture, conceived with rice-hungry Saudis across the Red Sea in mind, reaped its first harvest in November. It is training local farmhands as part of efforts to avoid a repeat of a 2012 attack by unidentified gunmen — a warning that the new landlords have stirred up old grievances in a downtrodden region. The Ethiopian government did not immediately respond to a request for comment on Mr Okello’s sentence. He has 30 days to appeal, Ms Mittal said. Ethiopia’s government has taken pride in posting some of the Africa’s most impressive growth figures but critics say the cost is growing repression, drawing comparisons with China. Journalists, bloggers and other critics have been detained under a contentious counter-terrorism law. They include Pastor Omot Agwa, who worked as a translator for a World Bank inspection team that probed alleged forced evictions in Gambella. The pastor was arrested last year and is awaiting trial. Mr Okello was originally charged under the terrorism act but his eventual conviction was for charges under different legislation banning acts that imperil the state, Ms Mittal said. Mr Okello’s son, Obok, lives in Washington and has lobbied the US authorities to intervene on his father’s behalf. Speaking last month before the verdict, a White House official told the FT that the US “will continue to monitor his case and engage the government of Ethiopia as appropriate”. Norway, where Mr Okello has citizenship, has also been monitoring the case but says its efforts to do so have at times been frustrated by the Ethiopian authorities.